UPDATE: After posting a link to this article on various Facebook birding pages, augmented by a few new reports today on the Ohio Birds Listserv, the Red-necked Grebe total grew by 3 counties and 14 birds. Thanks to all who contributed their observations, and I'm sure we haven't heard the last of these grebes. I'll try and keep the map (below) updated as well as the running total of birds and counties. Thanks too to Vic Fazio, who reminded me that there was also a sizable invasion (about 200 birds in Ohio and many more elsewhere in 2003 - a big DUH on my part, as I saw a number of those 2003 grebes. Vic also made some good points about Lake Huron's Georgian Bay being another possible source of grebes. I've posted Vic's remarks in their entirety on the comments section of this post. Red-necked Grebes are normally a rare sight in Ohio, or anywhere else in the interior U.S. south of the Great Lakes and away from the Atlantic Ocean. Not this March, however - these chunky grebes have staged an invasion of epic proportions; a movement previously unrivaled in scope. I wrote about this earlier, with tentative thoughts, RIGHT HERE. The map depicts a staggering invasion of Red-necked Grebes. Fifty-six counties, and a total of 302 birds by my reckoning. This far eclipses the previous record flights, which took place in February and March of 1994, when 111+ grebes were tallied in Ohio, and 2003 when around 200 birds were reported. This year's irruption is not confined to Ohio; many eastern states are experiencing a similar incursion. I love biological mysteries, and have spent a fair bit of time puzzling over the reason or reasons for the grebe flight. As is often the case, the explanation(s) are not clear, and there may be more than one contributing factor. The map above is courtesy of the National Oceanic and Atmospheric Administration's National Ice Center. 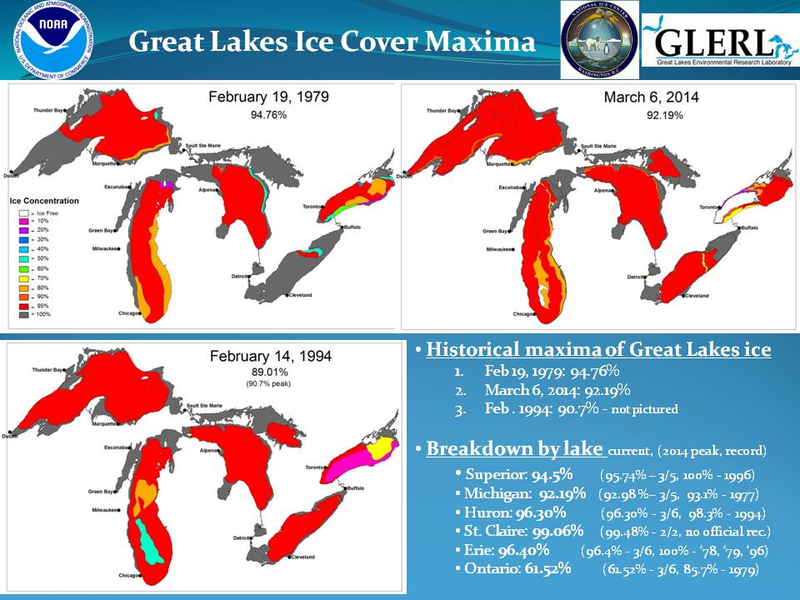 It shows the maximum extent of ice cover for the three most recent greatest ice-overs of the Great Lakes. Interestingly, there was no recorded irruption of Red-necked Grebes in winter 1979, but 1994 was the aforementioned previous record for Red-necked Grebes in Ohio ( and elsewhere). Note that this winter's ice cover peaked in early March - about the time that Red-necked Grebes really began making themselves known in interior locales. Prior to March, reports were almost non-existent from areas where the invasion later became pronounced. 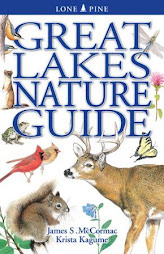 Pay special notice to Lake Ontario, the easternmost of the Great Lakes. This is the lake in which most Red-necked Grebes that overwinter on the Great Lakes supposedly occur. And Lake Ontario, which averages 283 feet in depth but is the smallest of the lakes by surface area, also has the most open water (white on the map indicates open water). The other four lakes are nearly frozen solid. Red-necked Grebes feed primarily on fish at any season, and their diet is likely completely piscivorous or nearly so in winter, especially on big lakes. These birds are also champion divers, and are known to descend to depths of 150 feet, or deeper. But probably not much deeper. Remember, Lake Ontario is far deeper than that, and is generally the deepest towards the middle. Much of the unfrozen portion of the lake is beyond the reach of the diving ability of the grebes, at least if they want to get to or near the bottom. So, we should look at the general habits of fish that the grebes feed on to further our investigation. In the dead of winter, lake water temperatures stratify the opposite of what they do in summer, when water at the surface is warmest, and gets progressively cooler as one descends. In winter, the water at the lake bottom is actually slightly warmer than at the surface, perhaps by a few degrees F. So, it may be that fishes that the grebes would forage on tend to descend deeper and into the warmer waters and beyond the reach of the grebes' diving abilities. A more likely explanation, I think, is that Red-necked Grebes overwintering on Lake Ontario actually remain in shallower waters - 100 feet in depth or less - closer to the shoreline. 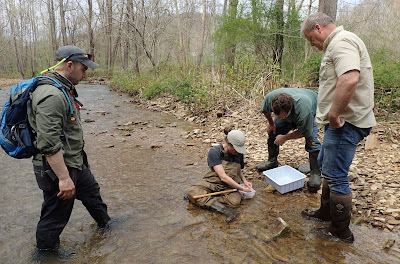 It's likely that lake bottom structure and topographic variation would be greater in near-shore zones than out in the middle, and such variation probably increases fish abundance and diversity. And fishes in shallower waters are more readily available to foraging grebes. As this winter's prolonged brutal temperatures increased Lake Ontario's shoreline ice shelves much further out into the lake than in most winters, the prime grebe feeding zones may have eventually iced over. The maximum icing of their foraging habitat occurred about the time that we inlanders began to see large numbers of Red-necked Grebes appearing. Of course, migrant Red-necked Grebes moving west and across inland areas from Atlantic wintering ground can begin to appear by this time, and it may be that winter refugees from Lake Ontario are being augmented by migrants by now, too. Still, the more I puzzle over this unprecedented phenomenon, the more I think it likely that the exceptionally frigid weather of this winter and its impact on Lake Ontario probably is the major reason for the extraordinary grebe flight. The difficulty of detecting and studying wintering Red-necked Grebes in their largely inaccessible wintering haunts means that large pieces of their life history remains unknown, or at least poorly known. Thanks to fisheries and limnology experts Brian, John, and Ray for sharing their insights with me. This is quite fascinating, Jim. Thank you for explaining the context of the invasion. 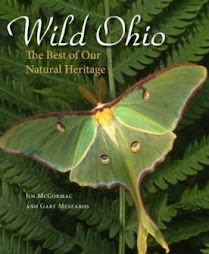 "Unlike the Snowy Owl invasion, eBird has been superior in documenting this phenomenon, and not just in Ohio. About 90% of the reports I have fielded from various sources appear in eBird. These have been verified through more than 10 hrs of vetting and so are thoroughly documented. I have posted several maps already but here is the current big picture. I largely agree with Jim though there is a bit more to the story. The initial flight (first week) involved 98 birds in Ohio and 50 in Indiana as I mapped here. This was the SECOND push out of the Great Lakes (we experienced virtually nothing of the 1st wave one month earlier that saw a major flight into NY and PA). Subsequently, the pattern of dispersal has been northward as if the birds of massive fallout in the lower Appalachians of TN and NC are slowly making their way northward. This progress matches that of 1994 and 2003 whereby birds were reported well into May. 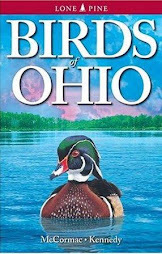 BTW, the 2003 flight in Ohio involved not less than 200 birds (per North American Birds). What is lost on some remarking on the listserv, is that the 1994 and 2003 flights involved no more than 7 birds each in Indiana (ILLINOIS has but 1-2 each of the previous flights - compare with map below). The dynamics of this flight is by far the best documented and should provide the "Great Lakes origin" hypothesis a boost (read Jim's account). However, while Lake Ontario is likely involved to a degree, the westerly track of the 2nd push supports another contention put forward in 2003... where it was the 100% freeze of the Georgian Bay that was coincident with that flight (and this month's as well). THE MAP: note the Michigan records --- virtually all in the past 5 days as birds return north." We took a walk around Lake Loramie today and saw that there are thousands of gulls on the lake. Mixed in the group were Canvasbacks, Pied-billed Grebe, Ruddys, and Coots. For most of the year, we only see mallards, along with a few wood ducks and Coots.